Part of ArtsGreensboro's 17DAYS Arts & Culture Festival and UNCG's War & Peace Imagined series. Triad Stage - Donovan Wayne Christie Jr, Caity Brewer, Jose Joaquin Perez and Blair Busbee in ARMS AND THE MAN. Photo by VanderVeen Photographers.Triad Stage - Jose Joaquin Perez, Blair Busbee, Donovan Wayne Christie Jr and Caity Brewer in ARMS AND THE MAN. Photo by VanderVeen Photographers. Triad Stage - Jose Joaquin Perez, Donovan Wayne Christie Jr, Blair Busbee and Caity Brewer in ARMS AND THE MAN. Photo by VanderVeen Photographers.Triad Stage - Jose Joaquin Perez, Donovan Christie Wayne Jr, Blair Busbee and Caity Brewer in ARMS AND THE MAN. Photo by VanderVeen Photographers. 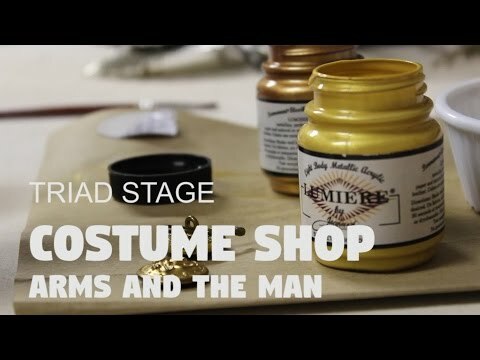 Triad Stage’s production of “Arms and the Man” by George Bernard Shaw has been up and running since September 11, and I finally got the chance to go see it. This was my first live theater production in quite some time, so I went in with hoping to be impressed, and did not come out disappointed. The play itself was a pure delight, as one could only expect from a Bernard Shaw comedy. Even though it was written over a hundred years ago, “Arms and the Man’s”critique of its character’s empty values and romanticized view of war are still relevant themes today’s culture. Director Preston Lane succeeded in producing a show that is clever, charming, and highly entertaining. What better way to mark the opening of Triad Stage’s 16th season than with a collaboration with UNC-Greensboro and ArtsGreensboro and a play by one of the world’s most influential dramatists. 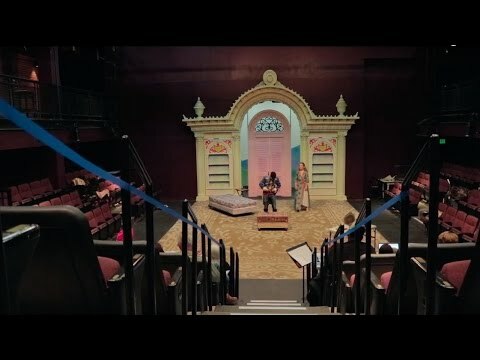 Triad Stage has woven itself into the unique and multilayered tapestry of Greensboro over the past 15 years, and the city, its schools, organizations and residents are better for it. Preston Lane directs “Arms and the Man,” George Bernard Shaw’s commentary on war and love, to complement UNCG’s extensive community effort, “War & Peace Imagined,” designed to commemorate the 100th anniversary of World War I. There have been two constant, universal themes for writers since the dawn of the written word: love and war. 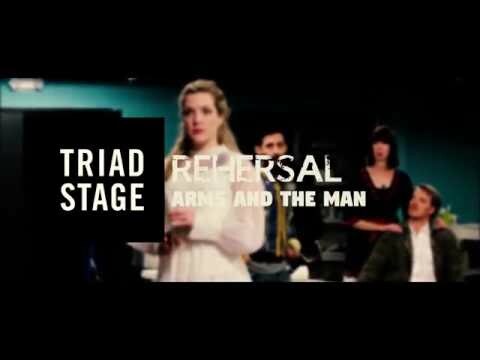 And Triad Stage will tackle those themes to open its 2016-17 season by presenting George Bernard Shaw’s “Arms and the Man.” The play starts Sept. 11, and is part of both ArtsGreensboro’s 17 Days Arts & Culture Festival and UNC-Greensboro’s War and Peace Series. As part of Arts Greensboro’s 17 DAYS Arts & Culture Festival, and UNCG’s War & Peace Series, Triad Stage presents George Bernard Shaw’s “Arms and the Man”. One of Shaw’s wittiest dramas will be brought to life by Greensboro’s most accoladed theater this fall. “Arms and the Man” is a comedy by George Bernard Shaw that illustrates the ineffectiveness of war and the hypocrisies of human nature.